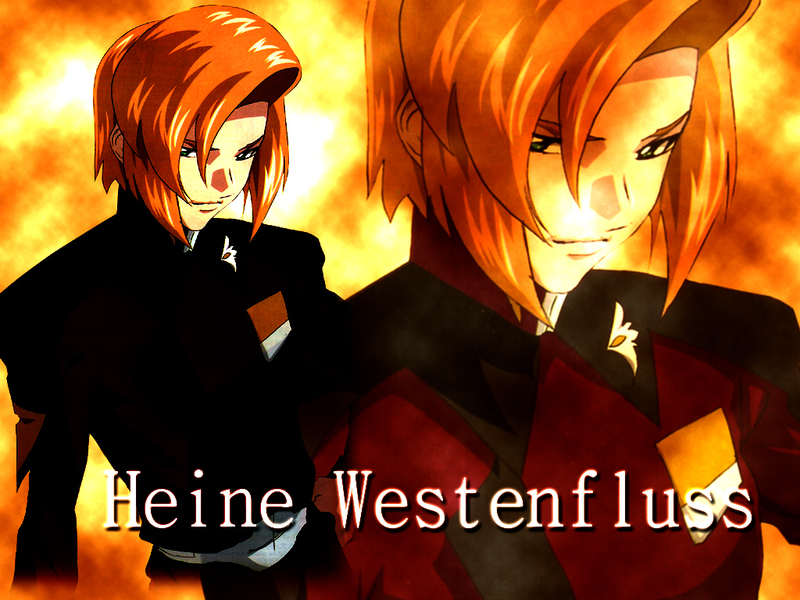 Mobile Suit Gundam SEED Destiny Wallpaper: Heine!! Minitokyo »	Mobile Suit Gundam SEED Destiny Wallpapers » Mobile Suit Gundam SEED Destiny Wallpaper: Heine!! Heine Westenfluss The Character From Mobil Suit Gundam Seed Destiny. i like he.But,He Die by Gaia(Stellar). <<(Phase 23) T-T Ah I Spoli!. NOOOOOOOOOOOOOoooooooooooo his last name is not start WITH "w"!!!!!!!!!!!!!!!!!!!!!!!!! ha....let me tell you...the destiny subtitle are wrong!!! trust ME ...and if you don't trust me..then go to destiny official web!!! and you'll see it....many people think its start with w!!!!!!!! NOOO it"s v!!!! ok? I KNOW IT cuz...i KNOW japanese!!!!!!!! because "v" sound in "bue..." is actually written with a "w" in German... so technically it isn't wrong until they print his name with English letters. It's a good wallpaper and I like the background. It looks really good. The name is correct, I couldn't imagine that they would write it with "v" there aren't any german word that names "Vesten" but there is "Westen" which means "west" in english. I remember that's is a hommage at the seiyuu of Heine, because he has in his early carrier a similar name. where did you find that awesome pic?????????? ?